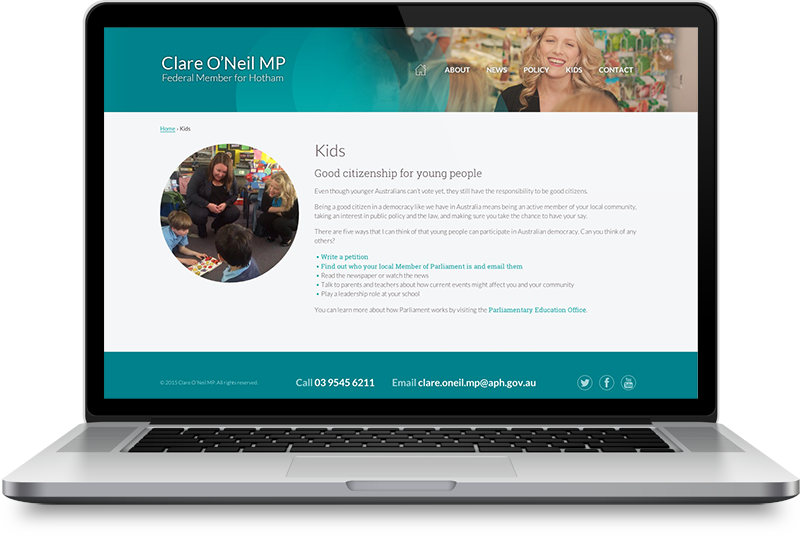 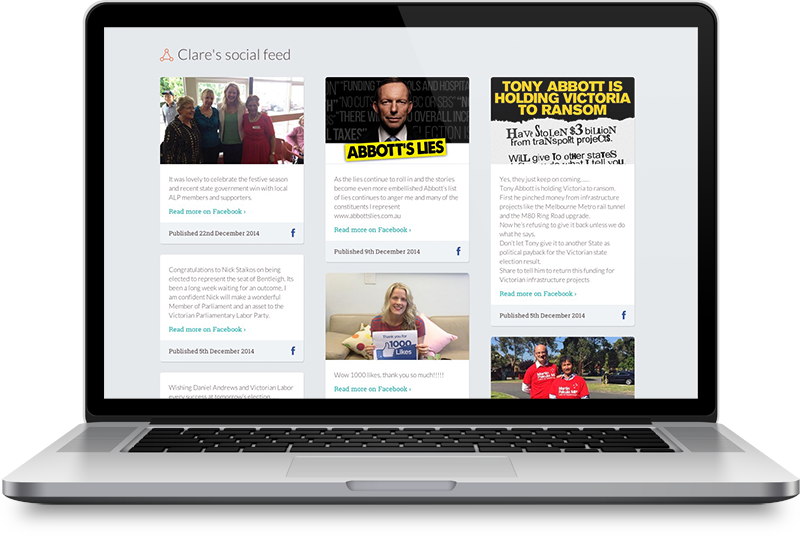 I relished the opportunity to work with Clare O’Neil MP and her team on the design and development of their new custom designed, content managed website. 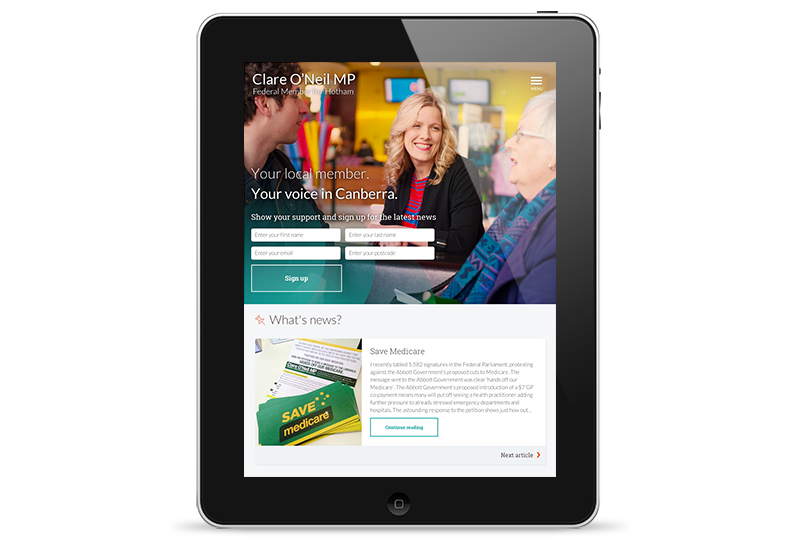 In combination with this I was also charged with refreshing Clare’s brand and online presence. 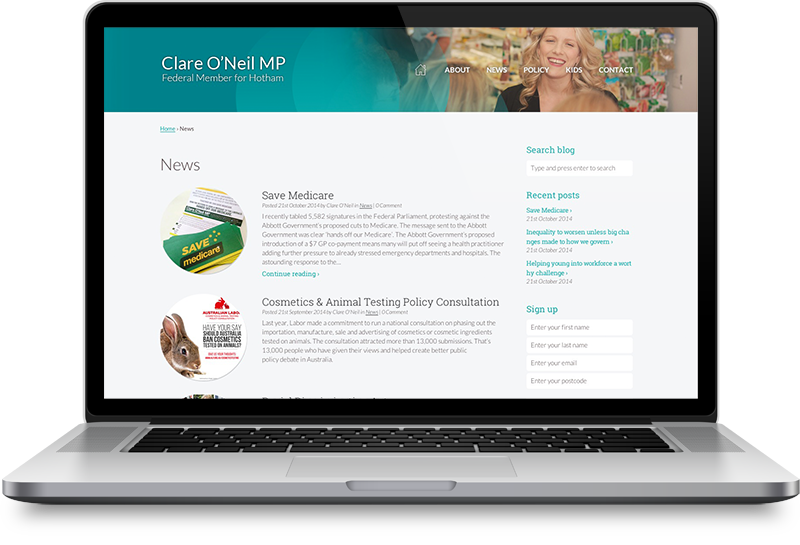 The new website design utilises warm, natural and engaging imagery along with a spacious, content-focused layout and structure. 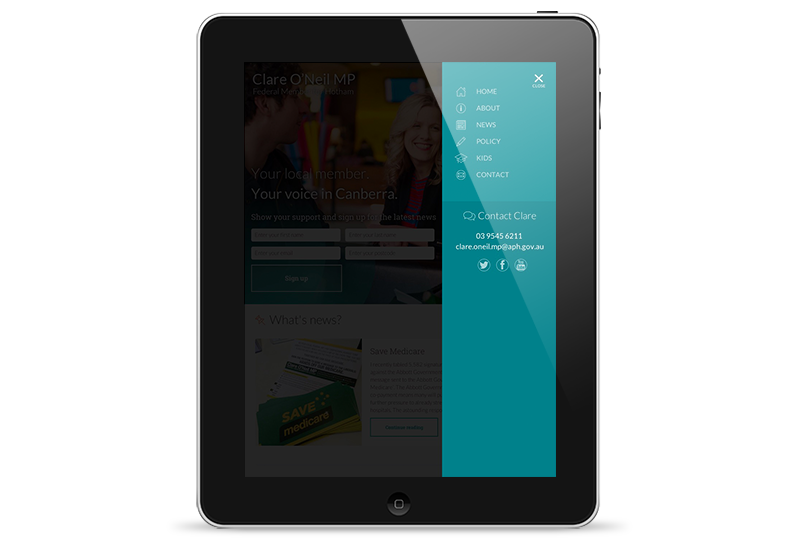 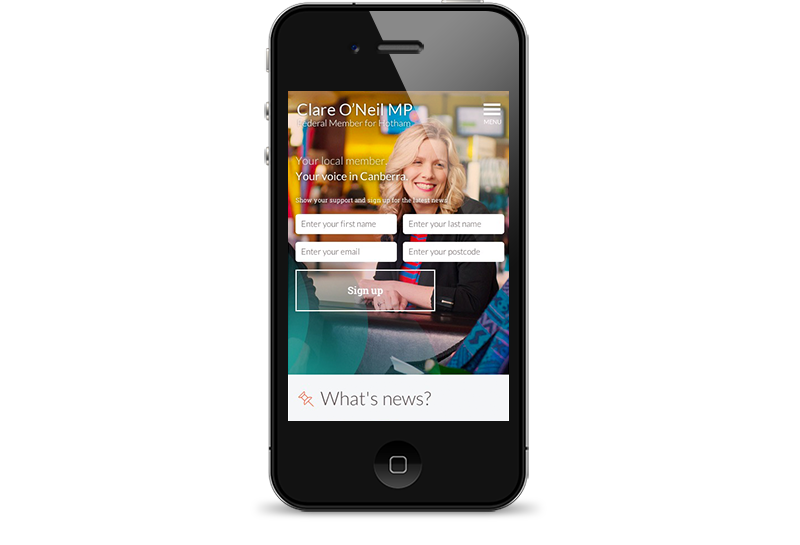 The user interface design is also responsive and accessible across desktop, tablet and mobile devices. 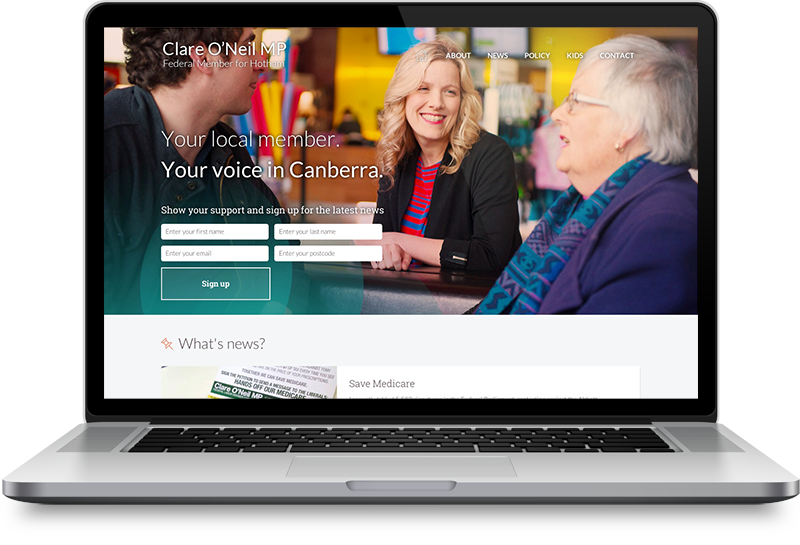 Elegant and easy to read typography, a refreshing colour palette and clean iconography help inform an intuitive and enjoyable user journey. 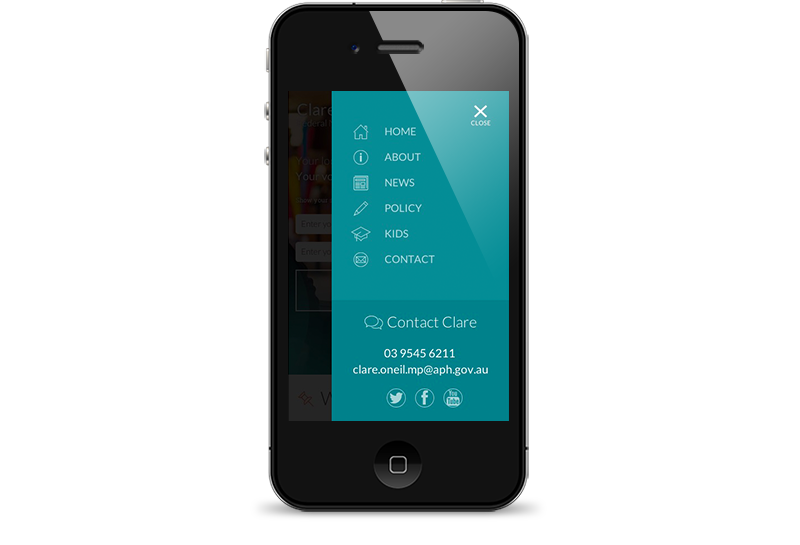 Other notable design features include a user curated social feed and a tailored content management system to allow easy client control of media rich content.